A static IP address is a network address that is assigned to a specific device. 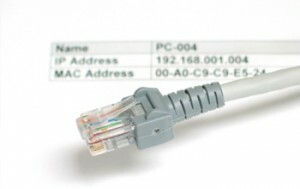 Some devices and software require a static IP address to operate effectively. The Department of IT provides static IP addresses for permanently installed devices (such as printers and servers) maintained by university faculty or staff. Unused IP addresses are subject to un-assignment after 90 days of disuse. If this occurs, you will be notified at least once in advance and again when the IPs are removed. Printers and servers require static IP addresses. To request a static IP address, use the Network Address and Registration System. Your departmental IT Pro may need to submit the request for you. If you have questions, contact Tech Support at 573.882.5000.